The Nintendo Switch launch lineup could charitably be called "thin." Aside from the new Zelda, one of the few shining jewels of the lineup is Fast RMX, an updated re-release of the Wii U exclusive racer Fast Racing Neo. Nintendolife recently sat down with German developer Shin'en Multimedia to discuss the title, and they confirmed a number of tantalizing details. While we previously announced that Fast RMX will indeed be a launch title, Nintendolife got Shin'en to confirm that the price is a mere $20 on the eShop. 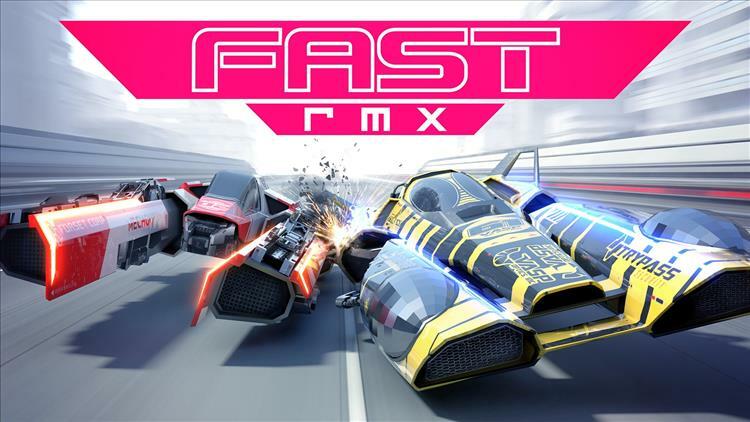 Considering Fast RMX essentially doubles the roster and track list of Fast Racing Neo, with half again as many new courses and vehicles, that's an amazing deal. It sounds even better when you consider that Nintendo is charging an eye-watering $50 for 1-2-Switch, when the 30-microgame collection should be a free pack-in or $5 at most. In any case, I'm excited to get my hands on Fast RMX. The Wii U version naturally didn't get the playerbase it deserved because of the Wii U's tiny install base, so I'm glad a much bigger, improved version is launching with Switch. I've been a fan of Shin'en ever since their underrated shmup Nanostray launched for the original DS, so I'm very happy that they're still plugging away and producing beautiful, challenging games for the loyal Nintendo audience.